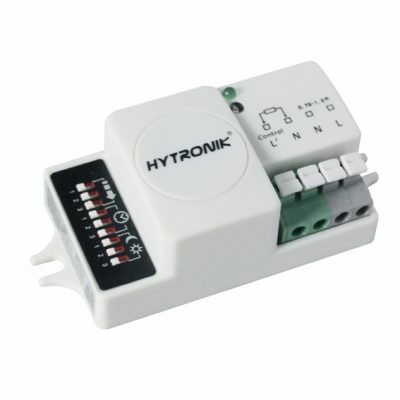 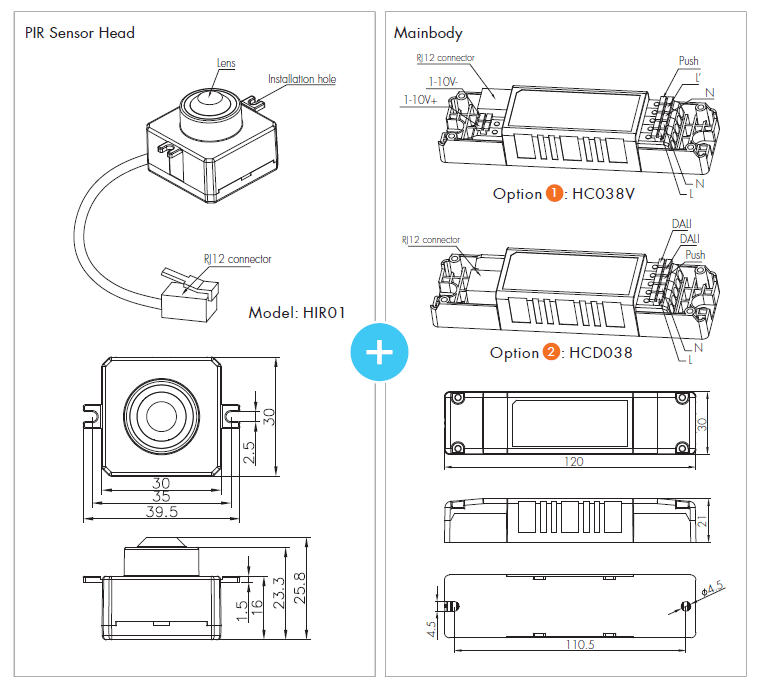 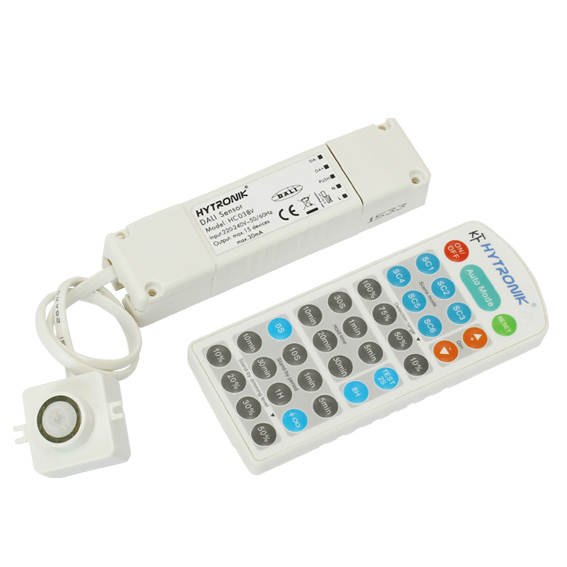 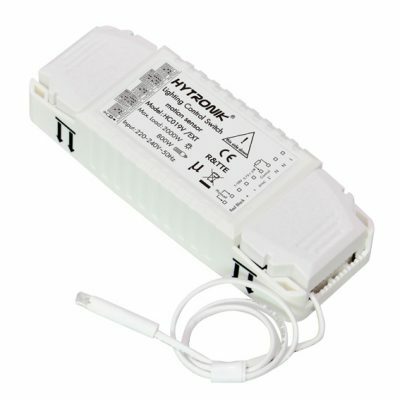 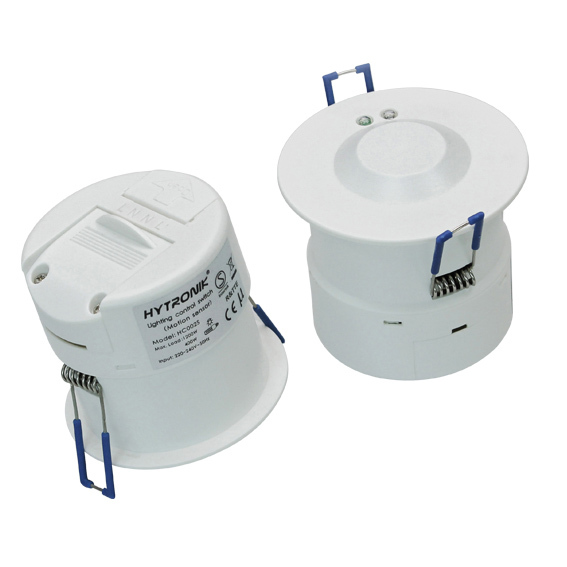 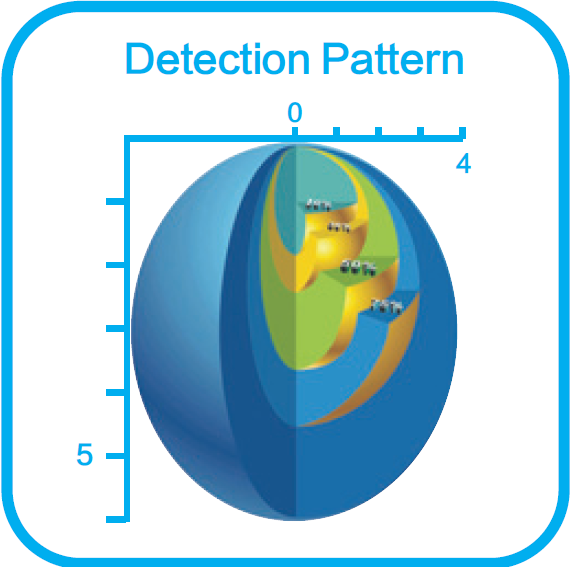 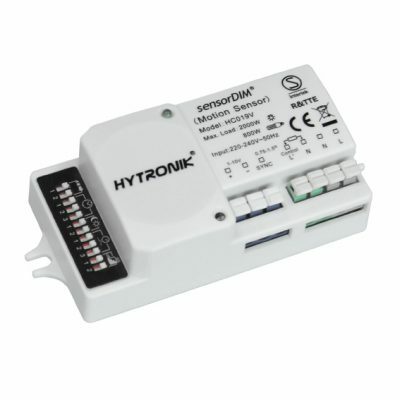 HIR01 + HC038V / HIR01 + HCD038 is a PIR motion sensor with Daylight harvest controls. 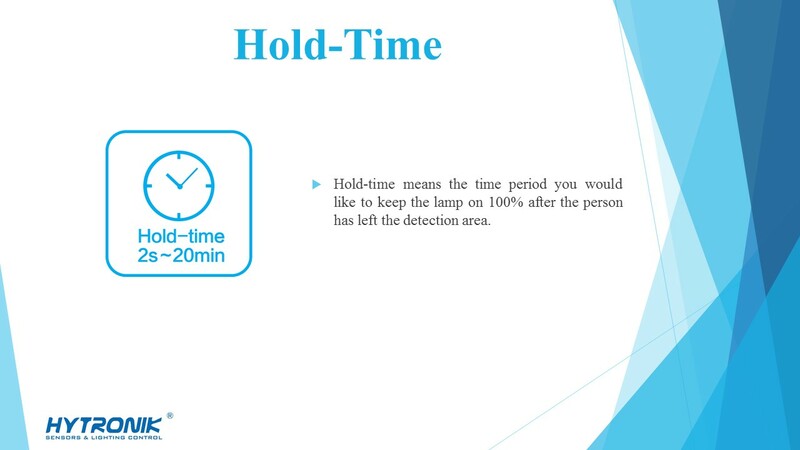 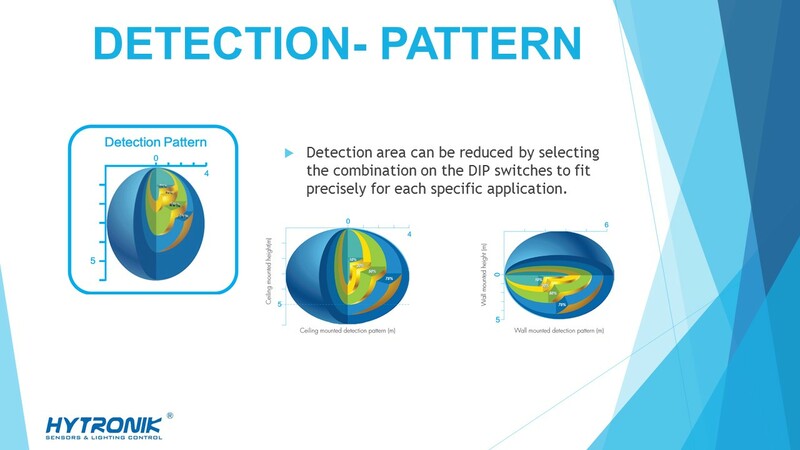 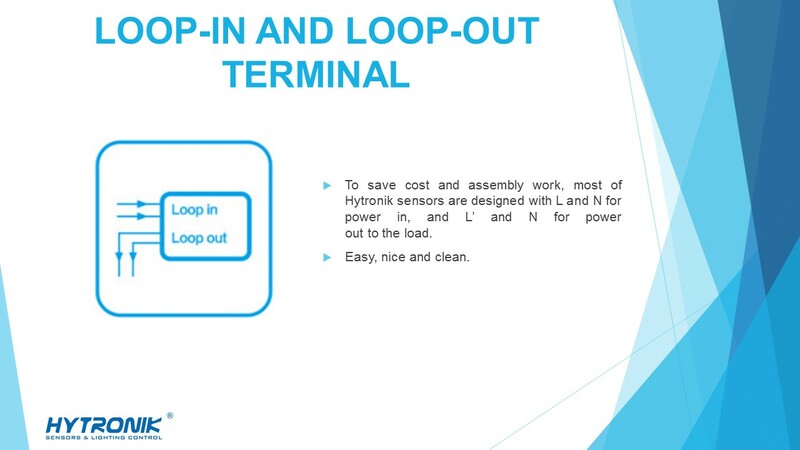 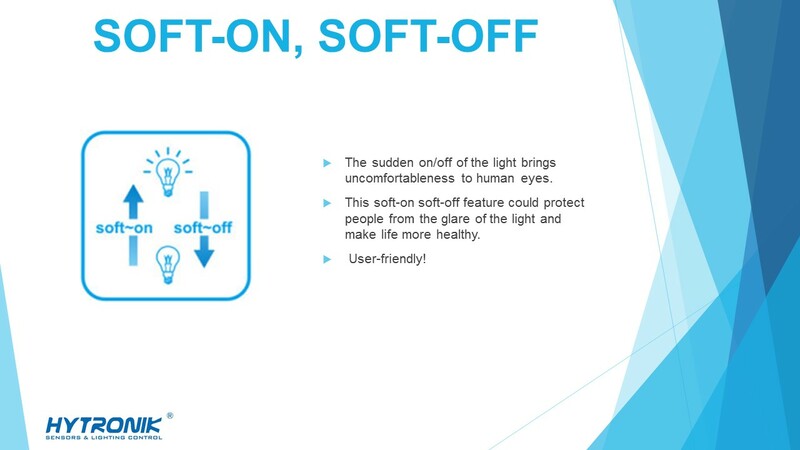 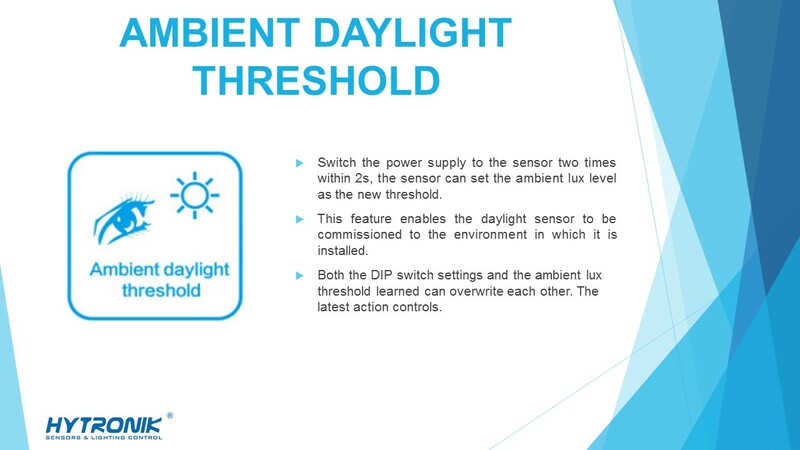 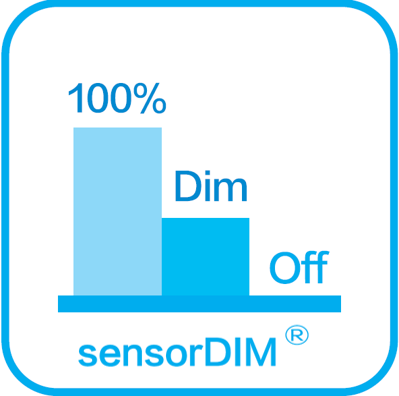 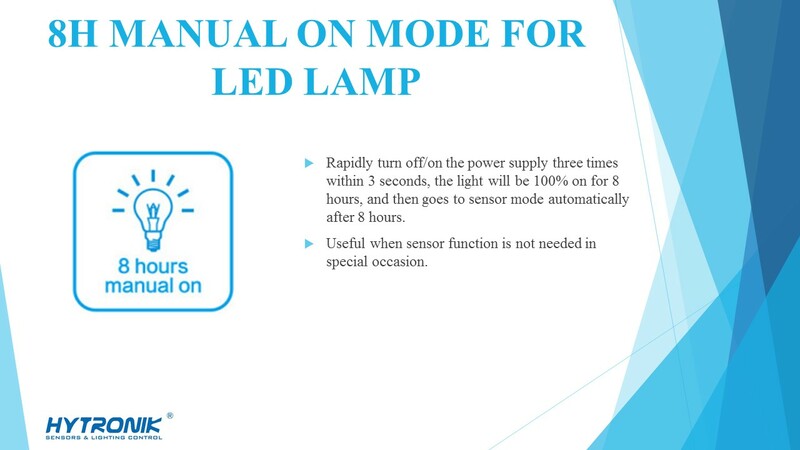 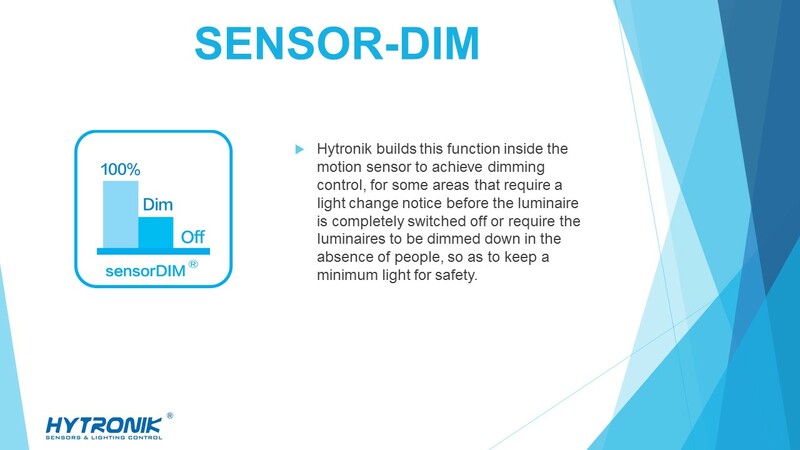 in this feature Light will automatically dim down even turn off if surrounding natural light lux level is above the daylight threshold, even there is motion detected. 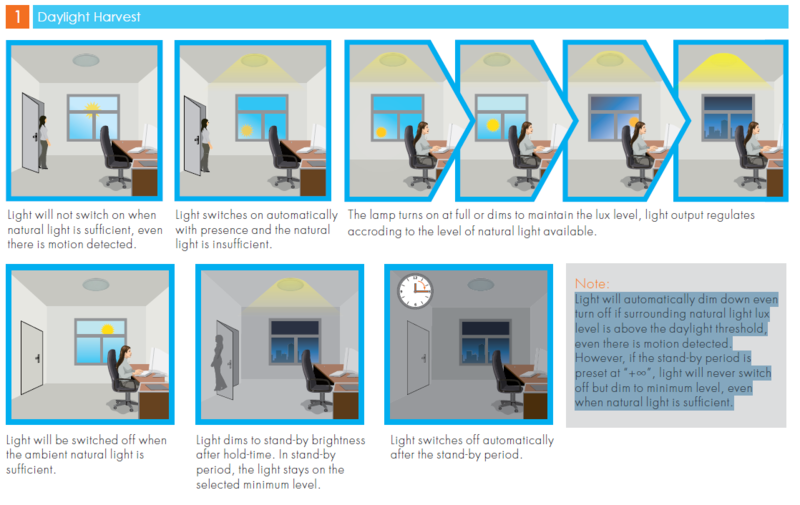 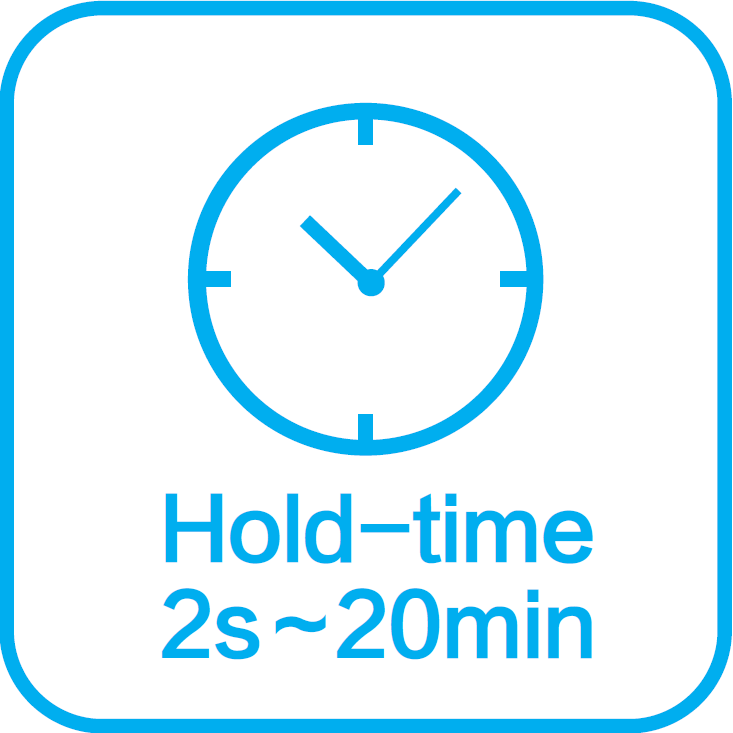 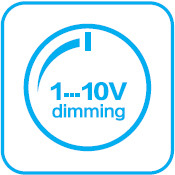 However, if the stand-by period is preset at “+∞”, light will never switch off but dim to minimum level, even when natural light is sufficient.